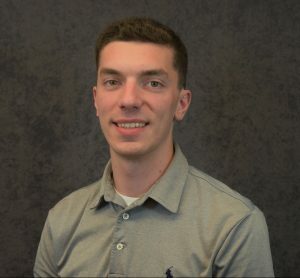 A mechanical engineering graduate student has been recognized by an international optical component manufacturer for his research on microplastic contamination in water. Anthony LoCurto, a Ph.D. candidate in ME, is a recipient of Edmund Optics’ (EO) 2018 Education Award. The “award is given in recognition of outstanding undergraduate and graduate optics programs in science, technology, engineering, and mathematics at nonprofit colleges and universities worldwide.” The EO Educational Award committee narrowed the hundreds of applicants down to 20 finalists across the globe. LoCurto won the bronze award in the Americas region. He will receive $5000 in EO products for “the development of a fluorescence microscope setup to detect microplastic levels for different water samples.” This research aims to study issues caused by microplastic contamination in water which if left untreated can have detrimental effects on human health and the environment. LoCurto works in the lab of ME Assistant Professor James Michael and plans to complete his degree in the spring of 2022.